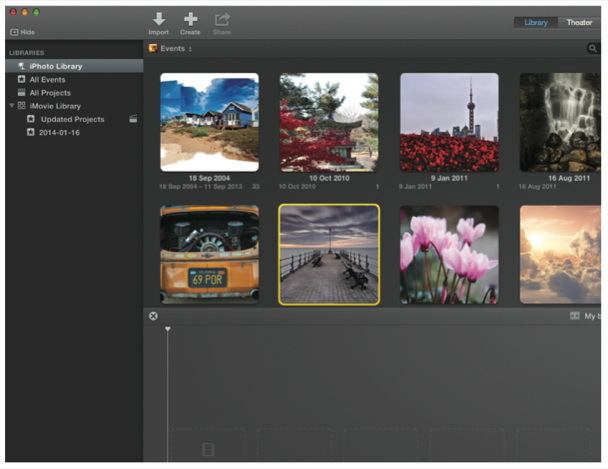 "What’s a good photo slideshow maker program? – I am looking for a photo slideshow making program to make a photo slideshow. What are some good programs that make slideshow making easy, fun, and have good features. I am making a photo slideshow for my cousin’s grad party." Do you take lots of photos for your family, friends, or special events? Shooting photos with digital camera or smartphone is a great fun in daily life. You may have a big amount of photos and plan to make a photo slideshow with music and photos you’ve shot, but you may wonder what kind of photo slideshow maker software to use to help you create photo slideshow easily. While, in this post, you will get satisfactory photo slideshow making solutions, no matter you’re using a Windows or Mac. 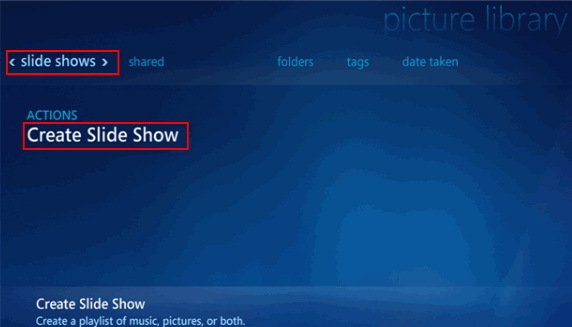 Windows users get many choices to make a photo slideshow with music and photos shot with digital camera or smartphones. In this part, you will learn how to make a photo slideshow with Windows Media Center in detailed steps, and how to add music to photo slideshow in Windows Media Center, as well as some other practical photo slideshow maker software alternatives to Windows Media Center. 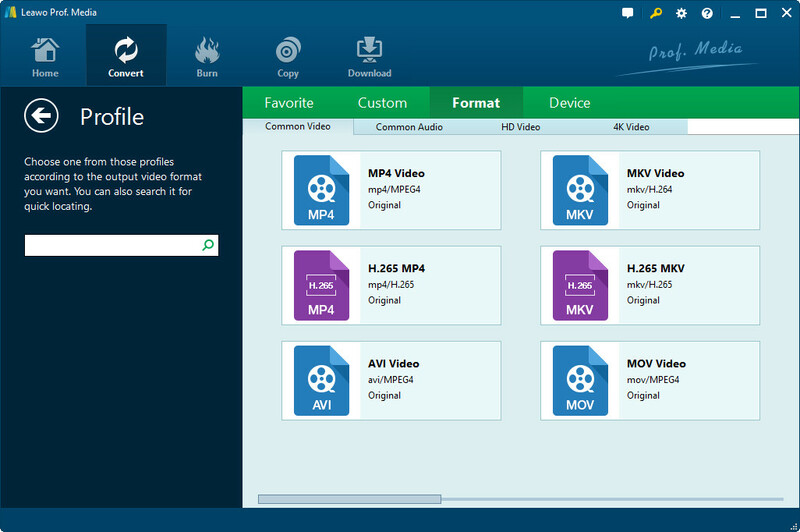 Windows Media Center helps you manage video and audio files saved on Windows PC. 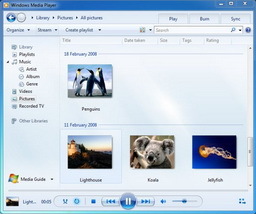 With Windows Media Center, you could record live TV, organize or play musics and movies, etc. 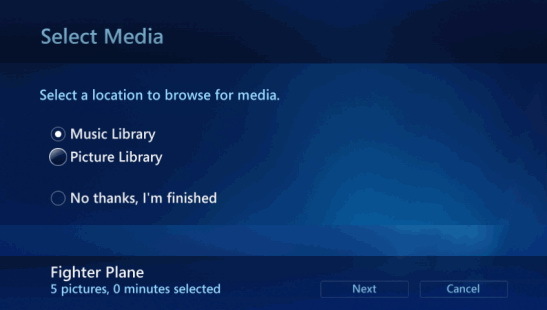 Actually, Windows Media Center could even help you create a slide show with music and photos you’ve recorded with digital camera or smartphones. 1. 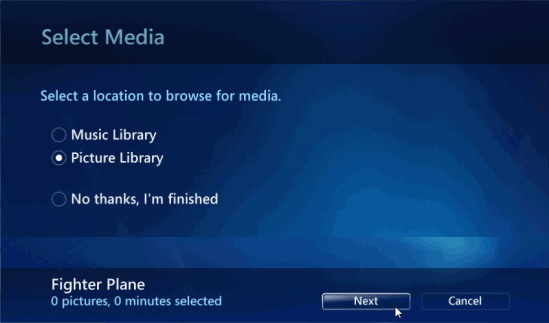 Start Media Center, scroll down to "Pictures + Videos > Picture Library > slide shows > Create Slide Show" option to get started. Name final photo slideshow on the “Name Slide Show” interface and then click “Next” button. 2. 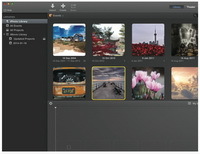 Click the "Picture Library" option to select photos for making photo slideshow. And then click "Next" button to continue. 3. If your picture library have multiple folders, select the folder from where you want to add the pictures. You could then see all pictures saved in the folder you’ve opened. Select the images you want to include. 4. In the last step, you could review your additions, re-order them using the arrows pointing up and down or delete them if you wish using the cross buttons. Even, you can decide to add more pictures from the "Add More" button. 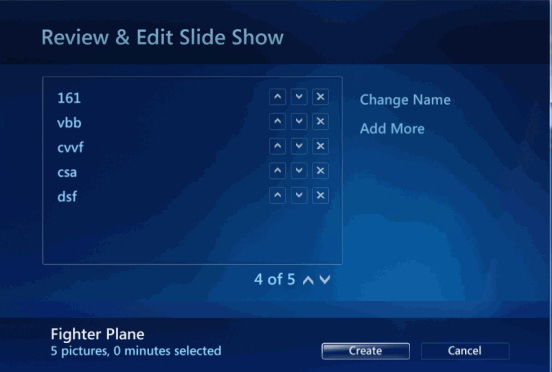 While naming slideshow after clicking "Create Slide Show" option, Windows Media Center remote users can bring up the onscreen keyboard by clicking on the OK button. You can navigate to the keyboard components using the directional buttons and click OK to select the currently highlighted letter. 1. After clicking on the "Add More" option, select "Music Library" from the list. Click on "Next" button. 2. In the music library, select the song you want to add as background. Then click "Next" button again. 3. 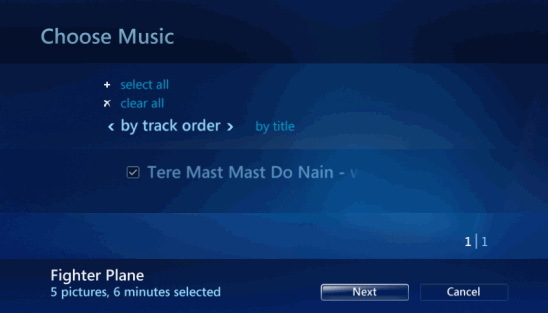 You could then see the select song appear on the interface ticked. Click "Next" button to continue. 4. Once you’ve set background song, click the "Creation" to start making photo slideshow with music. Though Mac users have less photo slideshow maker choices for making photo slideshow on Mac, Apple still offers several tools to help iMac or MacBook users. iPhoto is no doubt a first choice, but it had been discontinued by Apple and replaced by Photos in the latest Mac OS version. 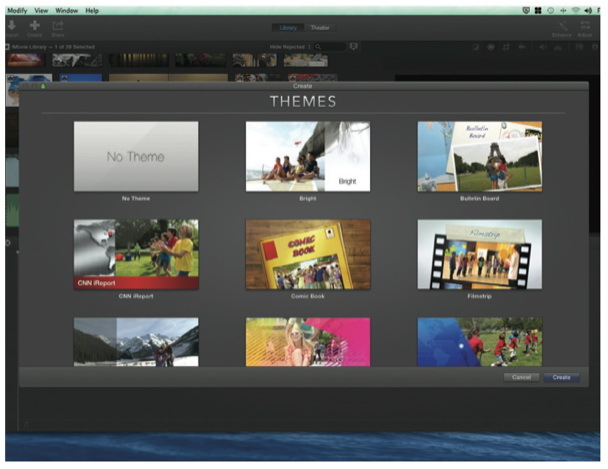 Besides iPhoto or Photos, you still get another choice – iMovie. 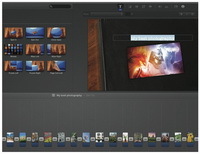 Known as a video editing software application, iMovie could actually drop in images and create a cool, themed slideshow in moments with different editing features available, like transitions, texts, songs, etc. 1. 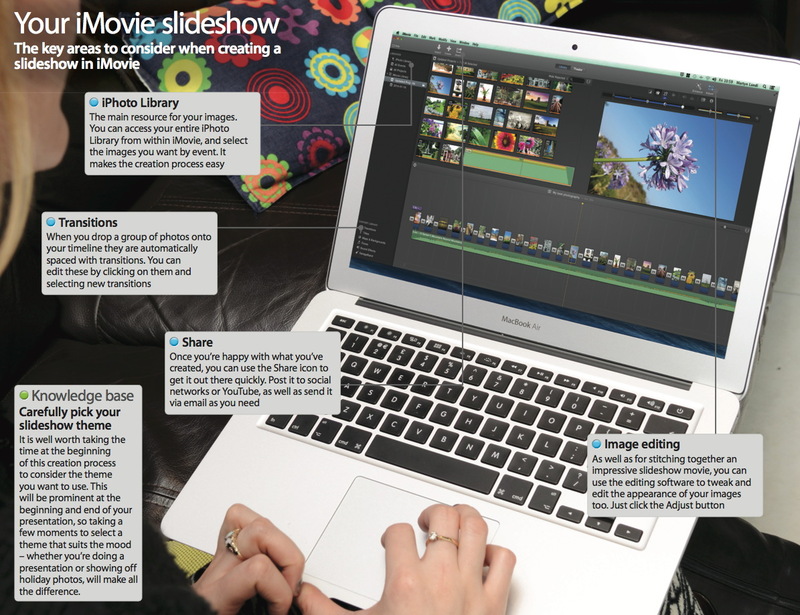 On iMovie, click "create a new movie" on the toolbar. Select a theme and then give it a name as your photo slideshow name. 2. Open photo library from the left sidebar and browse photos you want to make into a slideshow for adding to your new project. You could use Cmd key to add more than one picture. 3. You could then edit loaded photos via the internal editor, like adding a transition and text. You could even click the "Import" button to add a song as background. 4. After all done, you could then click the "Share" button to export the created photo slideshow in the way you like. 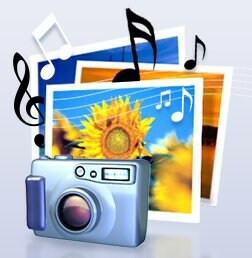 Both Windows and Mac users have preinstalled apps to create photo slideshows with music. The above mentioned 2 photo slideshow software do offer great convenience and help. However, they both have a fatal disadvantage – they could only output created photo slideshow to a certain video format. 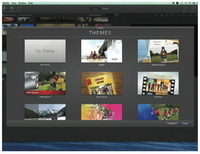 Windows Media Center outputs created photo slideshow to WMV format while iMovie delivers photo slideshow in MOV or M4V format. If you want to make a photo slideshow that could be compatible with various devices or players, you need to turn to Leawo Photo Slideshow Maker – the best photo slideshow maker. Officially named as Total Media Converter Ultimate, Leawo’s Photo Slideshow Maker is built in this total media converter suite to offer useful and easy to use photo slideshow creating solution. No matter where your source photos are and which formats they are saved in, this Photo Slideshow Maker accepts them for making to photo slideshow. (Leawo offers Photo Slideshow Maker for Mac to help Mac users easily create photo slideshow off various photos for saving in 180+ formats on Mac). Why is Leawo Photo Slideshow Maker the best slideshow maker? 1. Support to create photo slideshows from photos in BMP, JPEG, JPG and PNG. 2. 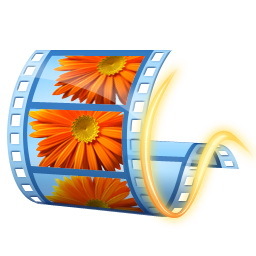 Create and save photo slideshows in 180+ video formats like MP4, AVI, FLV, MOV, etc..
3. Make photo slideshow for playback on various devices and players like iOS devcies, Android devices, etc. 4. Edit photo slideshow free to change photo slideshow video and audio effect. How to make a photo slideshow with the best slideshow maker? 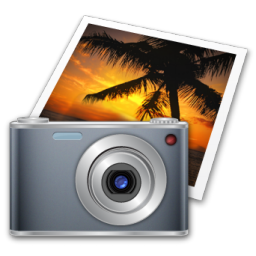 To make a photo slideshow with Leawo’s photo slideshow maker software, you need firstly free download and set up this program on your computer via the links provided above (Mac users download the Mac version). Get source photos transferred onto your computer hard disk, launch this photo slideshow making software, and then follow the below steps to learn how to create photo slideshow easily. 1. Under the "Convert" tab, click "Add Photo" button to browse and load photos. Selected photos would be automatically generated into photo slideshow upon loading. 2. In created photo slideshow title, click the "Edit" icon to enter the slideshow editing panel, where you could edit photo slideshow video and audio. 3. Save editing and go back to the main interface. Click the drop-down box before big green "Convert" button and then click "Change" option to select a Profile as output format. 4. Click the big green "Convert" button. Set an output directory on the "Save to" box and then click the bottom "Convert" button on the sidebar to start converting photo slideshow. 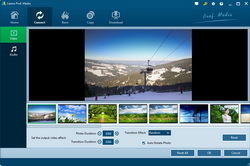 During editing photo slideshow, you could adjust photo order, insert extra photos, /delete/remove photos, set the output video effect, add a background music, set audio effect, etc. You could get an instant preview of generated photo slideshow if you like. 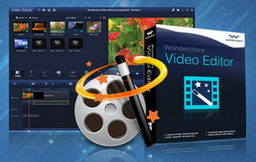 Video Editor is a professional Windows based video editing software program that could help you edit video clips, photos and music files, and create photo slideshows and PIP clips in only a few clicks. Acting as photo slideshow maker, Video Editor helps you easily make photo slideshows with photos from camera and smartphones, add special effects and transitions to the photo slideshows, insert text or subtitle explanations, add favorite songs as background music, etc. 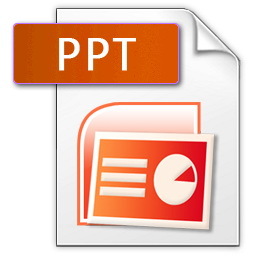 Microsoft PowerPoint is a slide show presentation program to help develop the slide based presentation format, and is currently one of the most commonly-used presentation programs available. With PowerPoint, you could add as many photos into slideshow as you like, and special effects like transitions and text description as well to make the slideshow more attractive and easier to understand. It’s especially useful for education purposes. Click to learn more about creating photo slideshow with PPT. 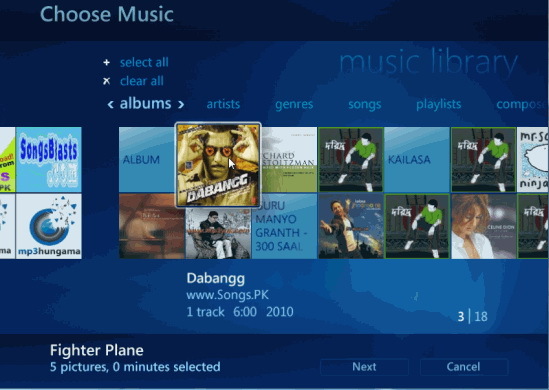 Just like Windows Media Center, Windows Media Player could also help you create photo slideshow with music and photos you like. It makes full use of the picture library and music library on your Windows computer and then create simple photo slideshows in only a few simple clicks. 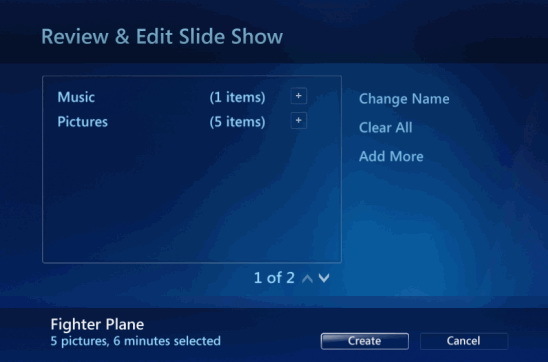 Click to learn how to create photo slideshow with Windows Media Player. As the default movie making software of Windows, Windows Movie Maker is no doubt a wonderful tool to create and edit video files. Movie Maker has a storyboard mode that makes it really easy to turn your photos into a video slideshow. Simply import your photographs and drop them onto the storyboard in the order you prefer. You could rearrange pictures, rotate/fix pictures, add transitions, add music or voice track, etc. Click to learn more on making photo slideshow with Windows Movie Maker. 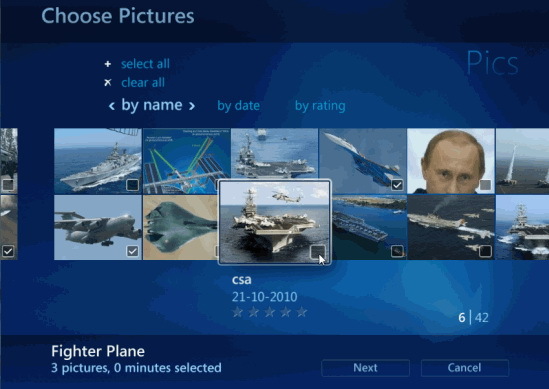 Microsoft Photo Story is a free application that allows users to create a visual story (show and tell presentation) from their digital photos. The software uses the Ken Burns Effect on digital photos and allows adding narration, effects, transitions and background music to create a Windows Media Video movie file with pan and zoom effects. Once a photo story has been made, it can be played on a PC using Windows Media Player. Since the .wmv format is used, Windows Media Video Image (a sub-set of Windows Media Video) is incompatible with domestic DVD players, users wishing to create a DVD or CD will need to use third-party tools to convert into DVD compatible (e.g. MPEG 2) format first.